This month’s patient spotlight is on Brodie Carey, an 18 year old shortstop on his way to play Division I baseball at the University of Maine in the fall. Brodie came to SOPT with complaints of right shoulder pain, clicking and inability to throw a baseball without pain. 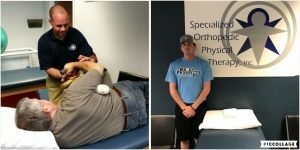 Brodie worked hard both in the clinic and in the gym working on soft tissue mobility, rotator cuff strength and stability, and a gradual return to throwing following a prolonged period of shutdown for recovery. We often talk about recovery being the most underrated part of rehabilitation and even strength and conditioning, but Brodie bit the bullet and is now pain free. Congrats to Brodie! More about Sean: Our Baseball Expert. Sean received his Doctorate in Physical Therapy from Springfield college. He is an avid learner and uses the most current evidence to treat his patients. He has a particular interest in treating shoulder and knee injuries and his passion is working with baseball players. His knowledge of the game, and specifically the bio-mechanics each joint that occurs when pitching and throwing has helped many baseball players from little league to college athletes get back to their game. Sean is our baseball expert! You don’t need to have pain to see Sean. He will do a complete evaluation and provide you with a program to prevent any over-use injuries that usually occur during baseball season. He will let you know how to improve your throwing technique through a bio-mechanical analysis of each joint/movement involved in the action. Whether its weakness in your hips, lack of rotation in your spine or control during the follow through. His goal is to educate the baseball community on safe way to prepare for your season, prevent injuries during the season and improve your overall strength and performance. 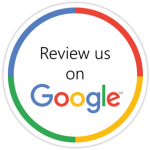 Give us a call today to schedule an evaluation with Sean!